Smart Print & Labels is very much a family business with one of the founding directors Helen Whittaker still very much involved in the business. Our approach to every request is to analyse and consider the most effective way to fulfil each particular need, and our long experience in different kinds of labels & labelling systems enables us to deliver knowledge based solutions which are both correct & cost effective. Turnaround on special makings varies from 5-20 working days dependant on material choices, press loading etc. 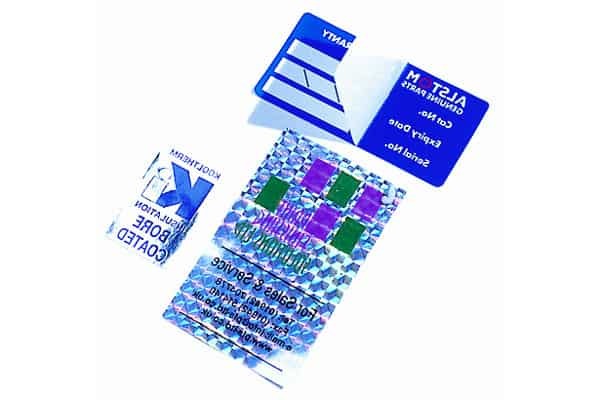 For Asset/Security labels we print onto 3 main base materials, either Destructible Vinyl (which “chips” away into little pieces if anyone tries to remove the label), Tamper Evident “Void” or “Chainlink” polyester whereby the word “void” or symbol” chainlink” appears in the face of the label and leaves a similar residue on the item if anyone should try to remove it. 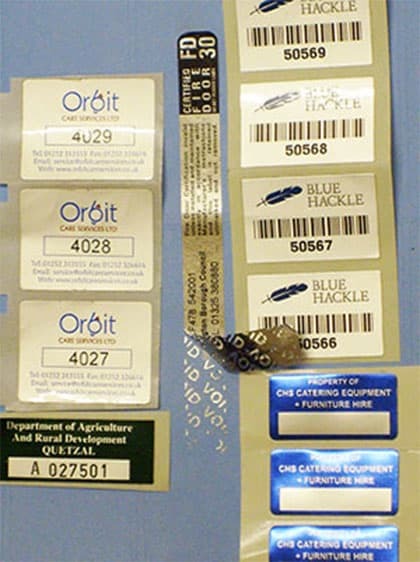 Our Asset Identification/Security labels are of a bespoke (special making) nature so we offer unique combinations of label size, any of the above base materials and print to suit your requirement. So the first step is always pricing your exact requirement (every one is different!) and for that reason we do not have a comprehensive catalogue or price list. In these instances we would print onto a matt white vinyl or paper leaving spaces where operators may hand write dates and signatures. 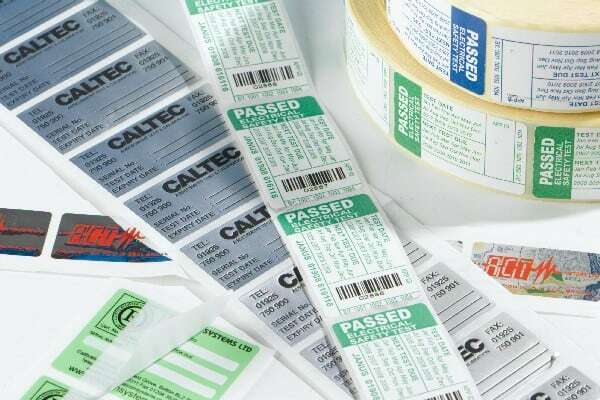 We can supply the labels “Part Laminated” whereby the operator can seal over the date and signature with a clear laminate already partly attached to the label so that the label can not be altered at a later date. If required we can supply labels produced from aluminium either adhesive backed or without adhesive supplied with drill holes for riveting onto your products. These labels will be sturdy, attractive and are water resistant and can be used in outdoor applications. We produce labels by various print processes dependant on size, material, adhesive and run quantity required.